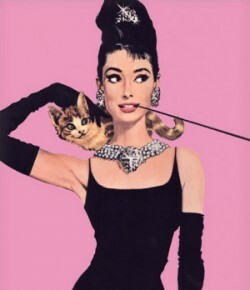 A psych lecture, a family dinner, and a maxi dress | What would Audrey wear? Although this blog is primarily about fashion and style, there’s another side to me and my image consulting business: psychology. While I’m in between my bachelors and masters degree (a perilous wasteland of cast-aside habits and learning) I try to attend as many lectures and school-type things as I can to keep me sharp and in the learning mode…plus, I love them! 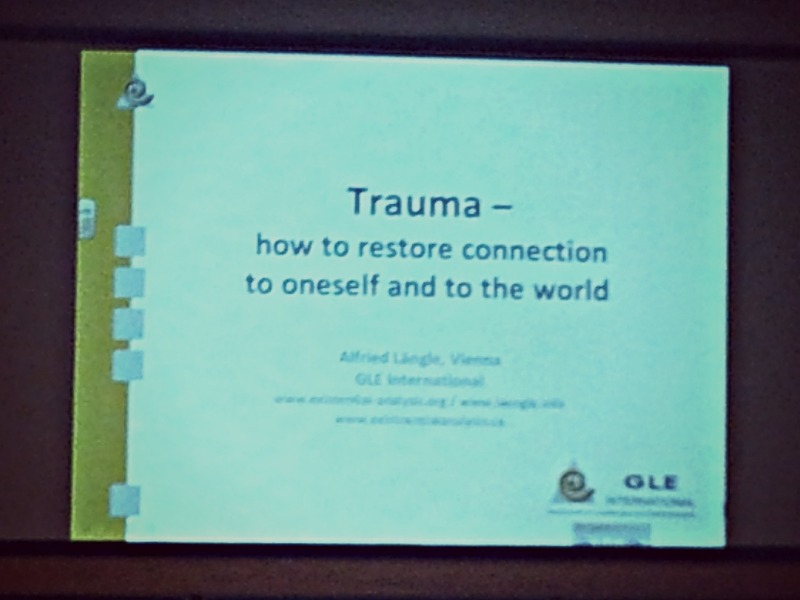 So last night was a no-brainer: The existential society of Vancouver had Alfried Längle visit and lecture on Trauma from an existential viewpoint. I got tickets for myself and my parents, because I thought they’d be interested too. So we decided to make a night of it: we invited my sister to dinner in Yaletown since she lives downtown and we don’t get to see her nearly enough, then headed over to St. Paul’s for the lecture. 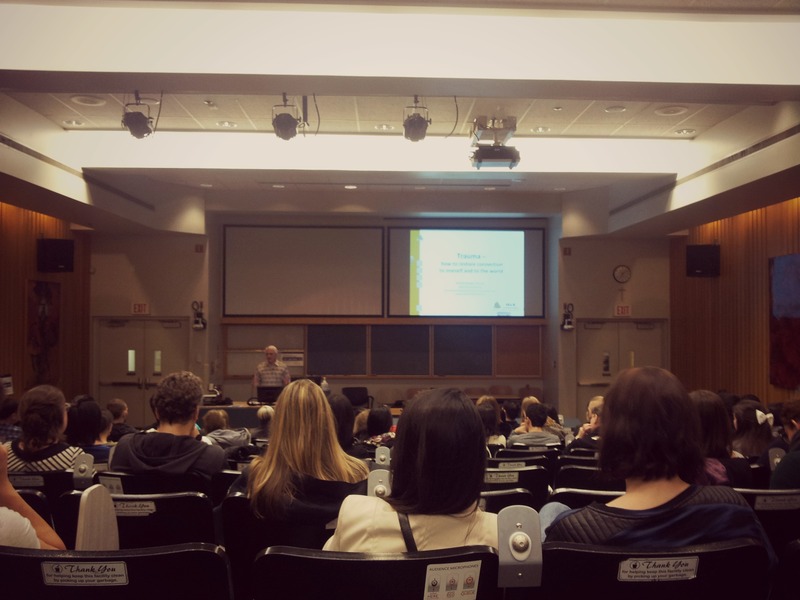 There’s a secret basement lecture hall where these talks take place; it’s hard to find and requires building and elevator changes, and I get lost every time. The lecture was 2 hours long almost, and wonderful. I first met Alfried in Vienna when we visited him at the centre for Existential analysis, which is also his home. The man is brilliant in a very quiet, gentle way; you can’t help but love him. 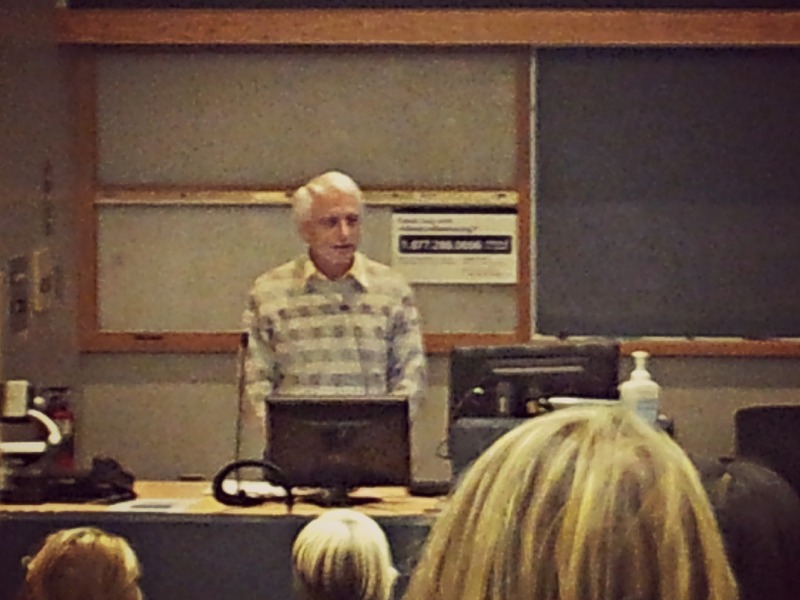 He spoke of Viktor Frankl and his struggle to make meaning of the traumas he faced in the concentration camps in Nazi Germany, and about his own patients struggles. The night was a perfect mix of relaxing family time and learning: my two favourite things! My outfit: I was pretty tired, so I wanted to wear something super comfortable but still look put together. Solution? A maxi dress of course! 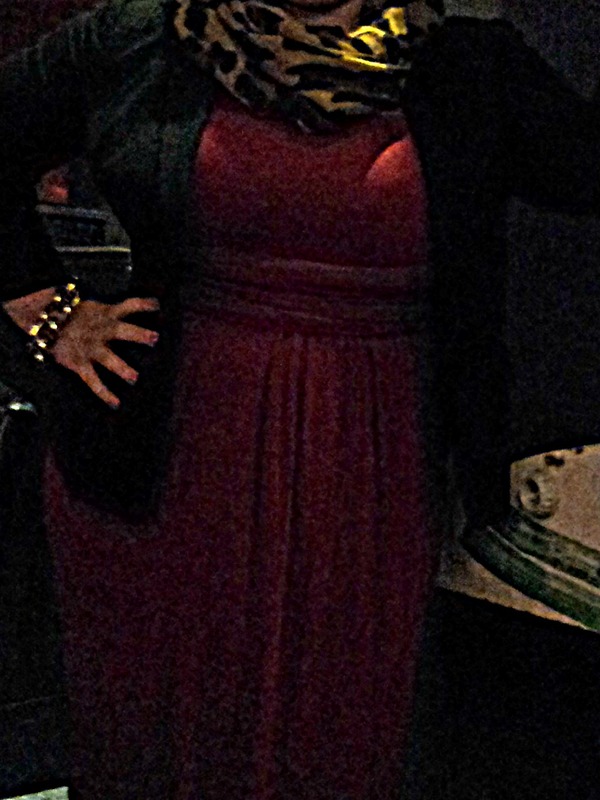 I paired my red maxi with a black blazer, leopard scarf, black wedges and a black eel skin clutch. I felt like I was wearing pj’s, but looked like I was going out. I kept doing the same pose (see? tired.) and the pics are pretty bad quality since we were in a hurry (apologies), but you get the idea. you get a better sense of my combo here. See my huge gold link bracelet? I just got it at a consignment store, and I love it!!! 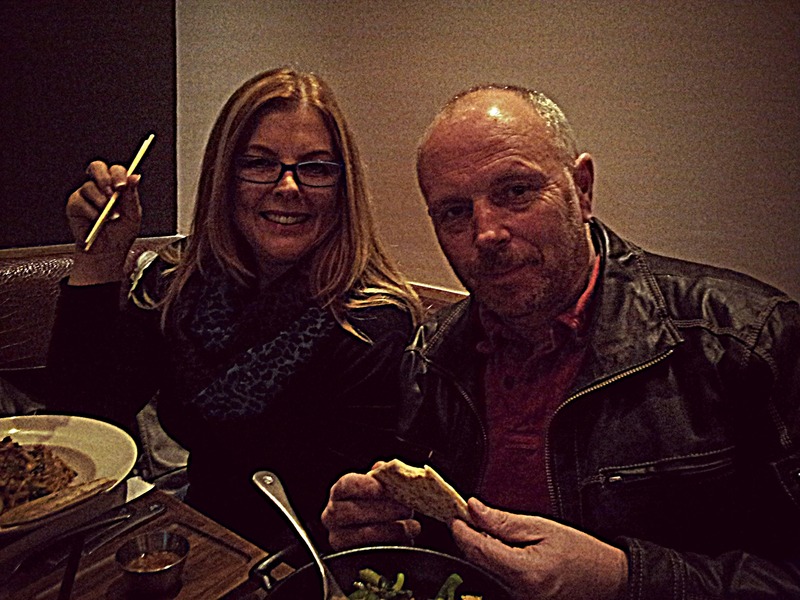 My crazily supportive parents and their noodle bowls. Love them! My beautiful little sister and her salad. 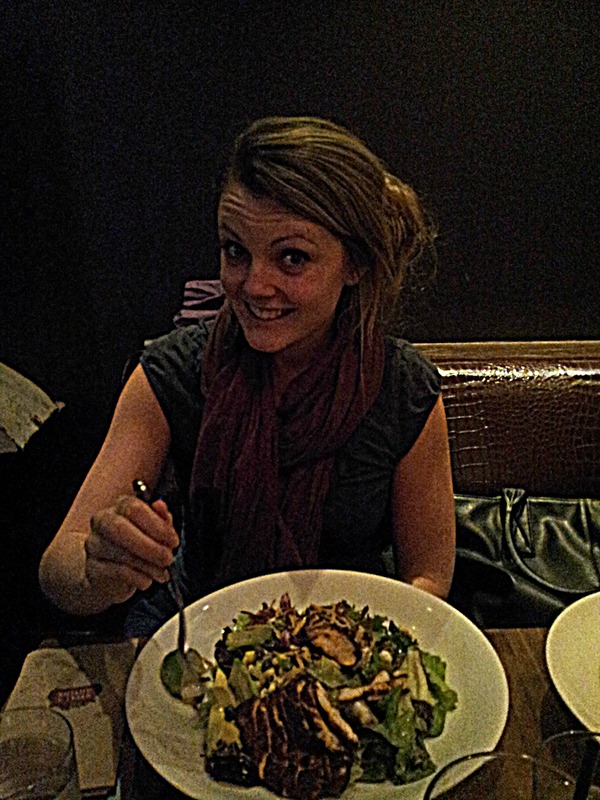 Seriously, you guys: best salad in the world is called the Santa Fe chicken salad at Earls: check it out. The man himself: Alfried Laengle. Our topic for the evening. My view of the action.